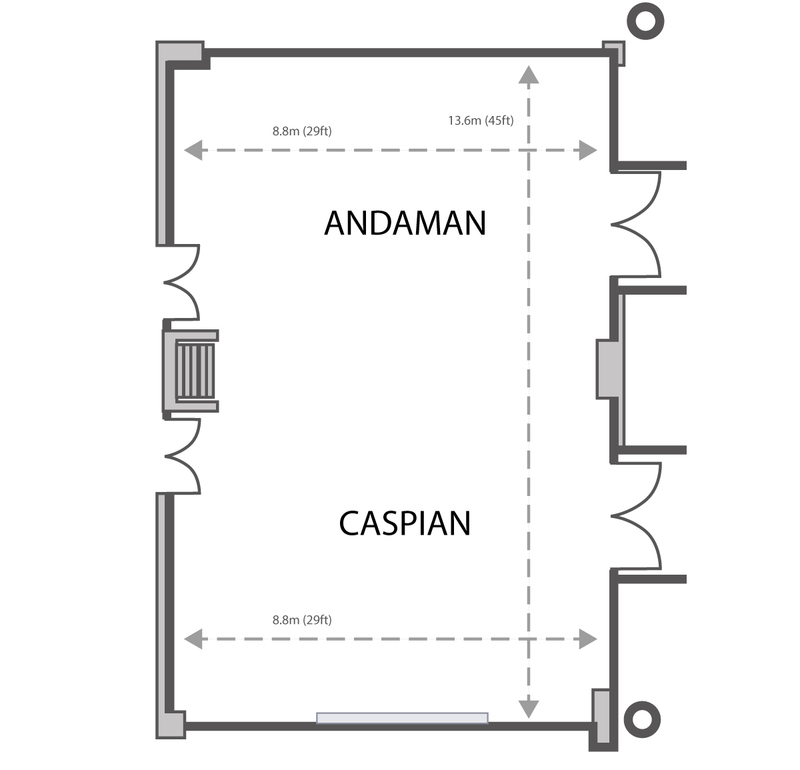 The Caspian & Andaman when fully opened is one of our largest rooms. 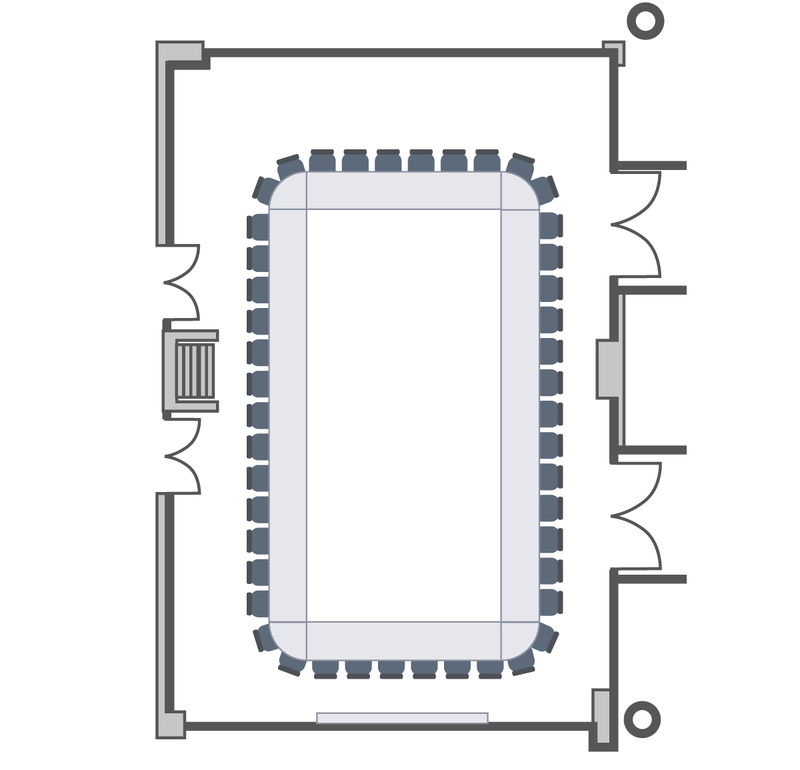 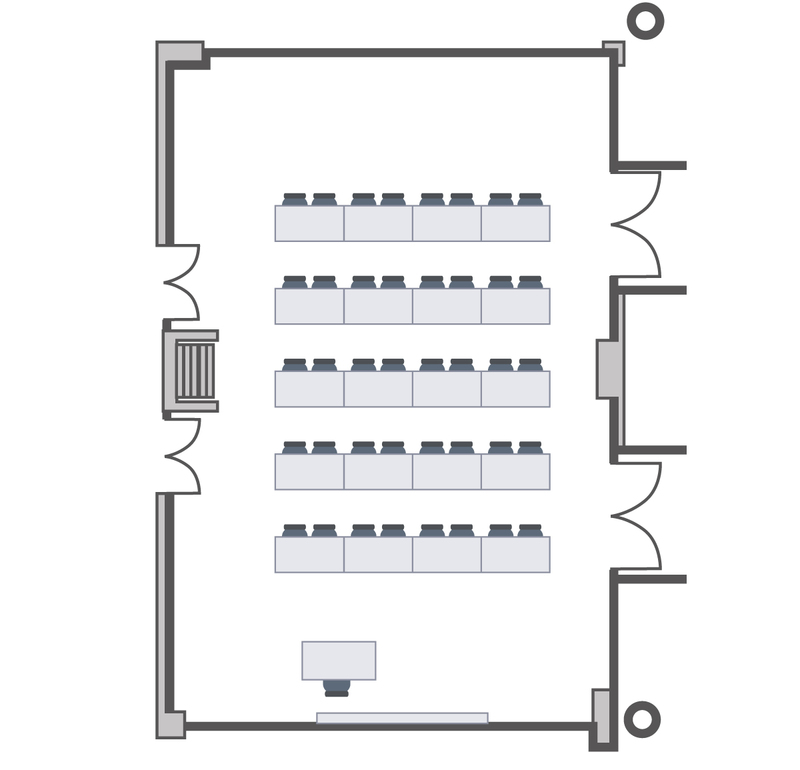 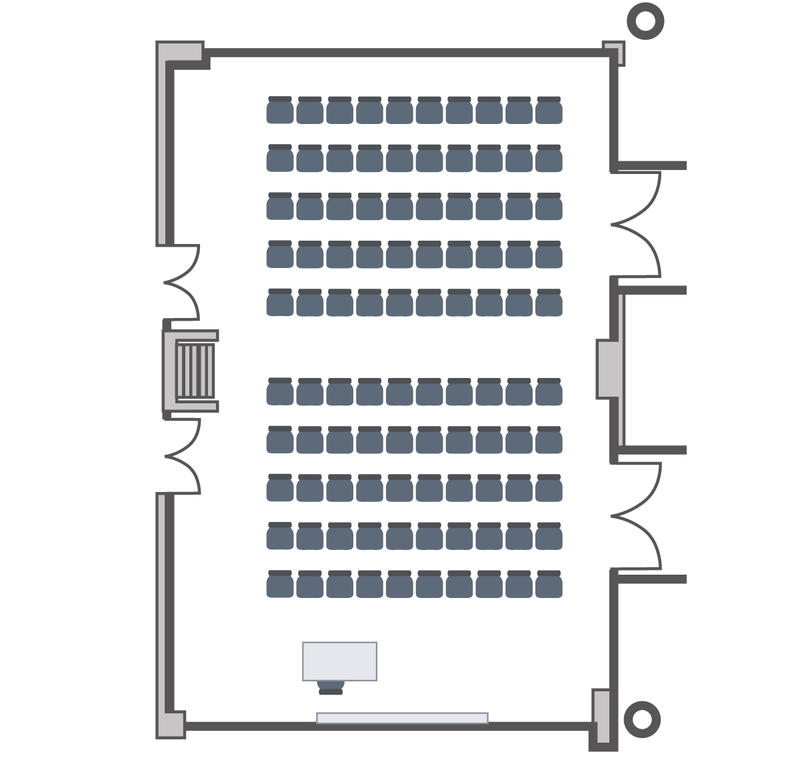 Holding 100 delegates theatre style, 64 cabaret, 32 boardroom, 30 U-shape and 40 hollow square. 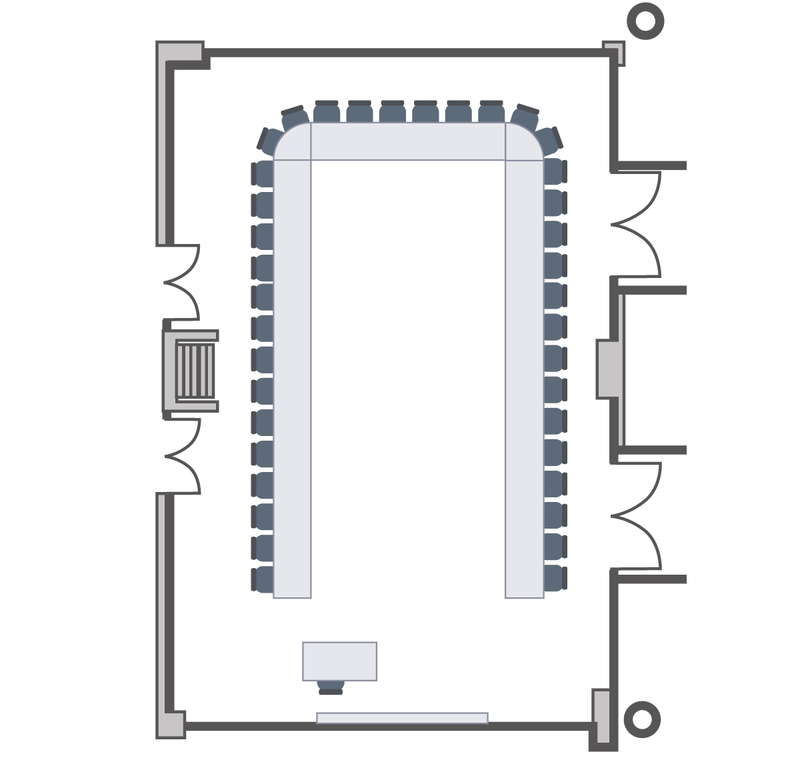 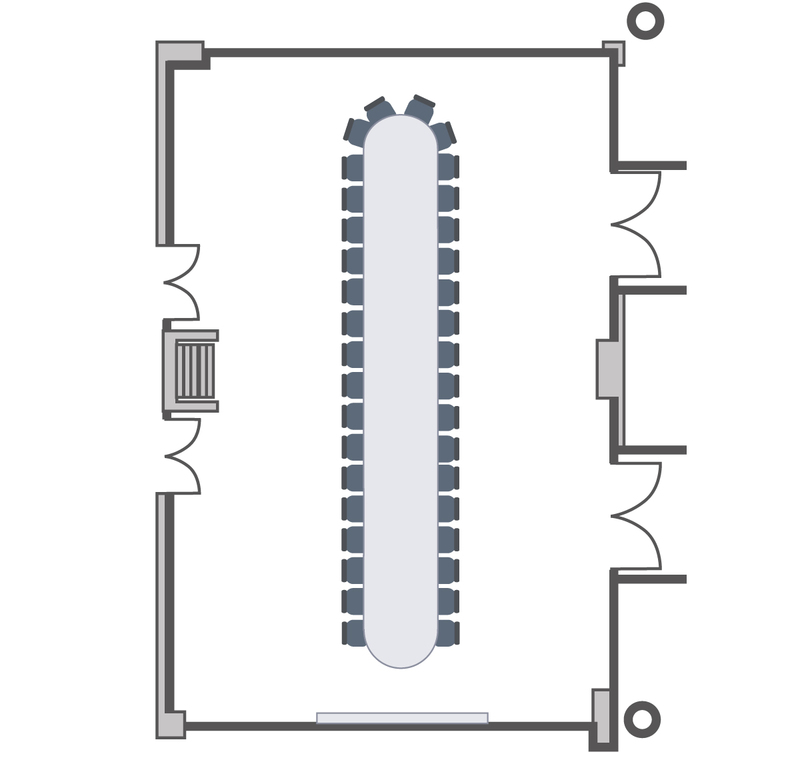 This large bright spacious room with one glass wall is situated on the ground floor. 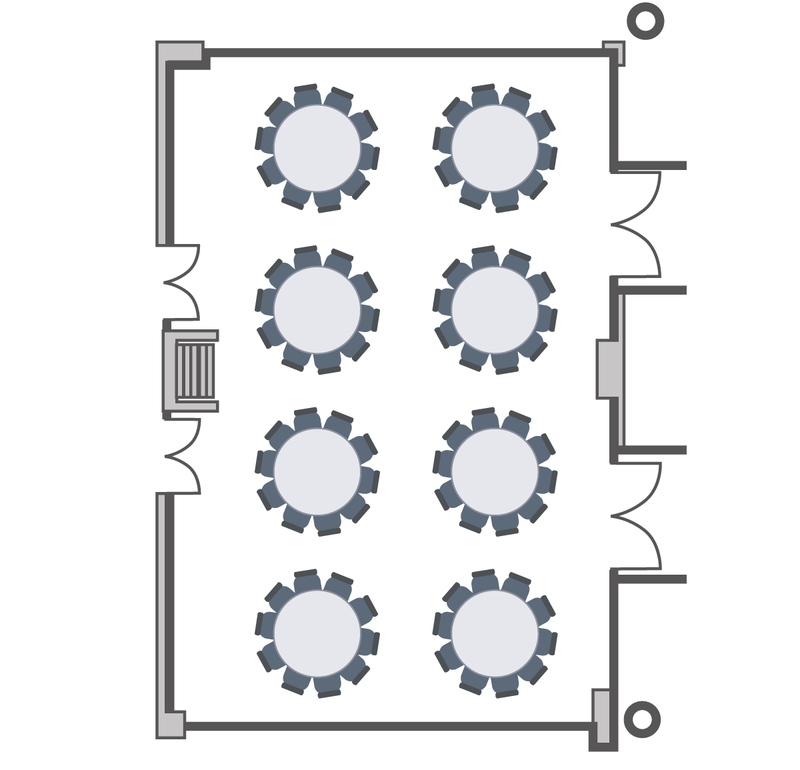 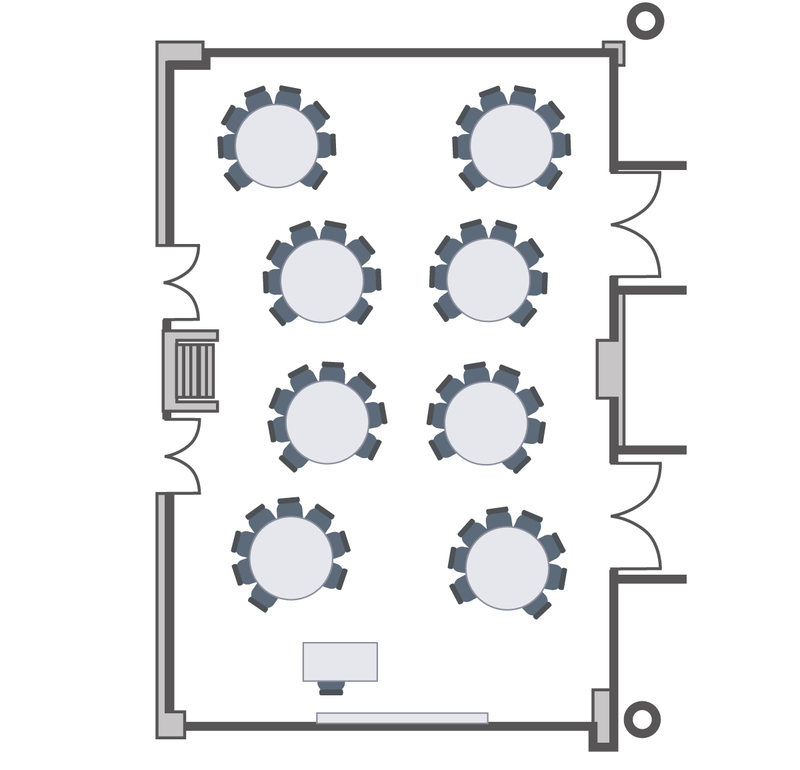 Both ends are fitted with a data projector, electric screen, whiteboards and have the facility to black out for presentations or the option of natural daylight when required. 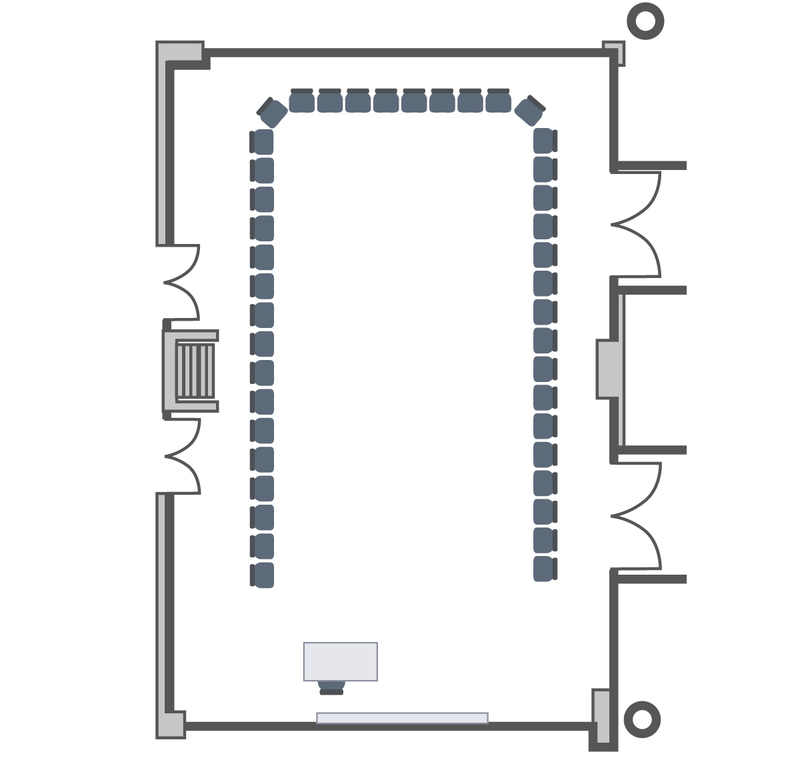 Adjacent to the Pavilion it works well for a meeting or reception before moving into the Pavilion for lunch or dinner.